you lack fulfillment because your dream is to do the work you love, on your terms, as an entrepreneur. but, you don't have a strategy or a plan. you're stuck. the endless thoughts of what ifs and how-tos are overwhelming you. 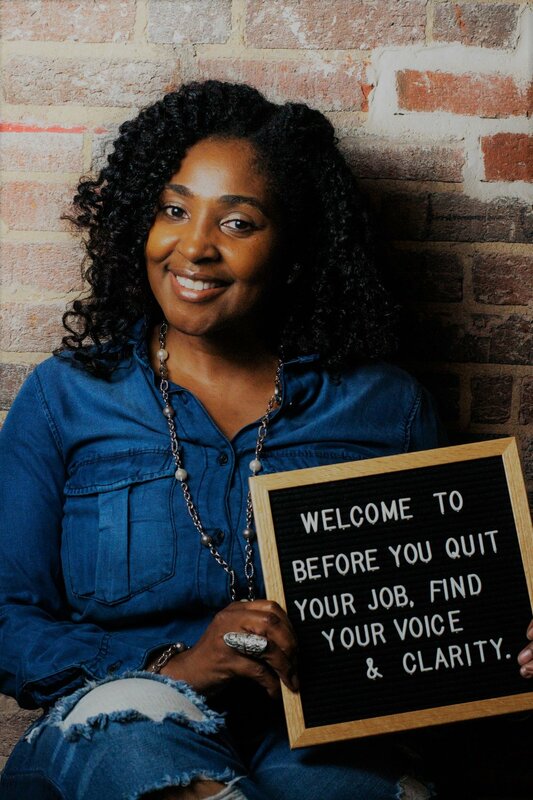 i'm here to help you get clarity and create an exit strategy so you can finally create your fulfilled life, confidently. you believe you are an entrepreneur at heart. it's something that has intrigued you for a long time and now you are ready to pursue it. a paycheck and good benefits are no longer good enough talking points to keep you from showing up in your life in a big way. you have the skill, the heart, ideas, desire and strengths to do it but you are simply not sure where to begin. you don't have a solid strategy. you don't have a plan. you know this is what you want but you can't get out of your own head. you believe with guidance, your smart, disciplined and coachable nature can maneuver the entrepreneur journey with confidence. about what your first step then next few steps should be. to help the journey along you want someone who has been where you are, created a successful exit strategy and is now living the life you aim for, the life of a dedicated entrepreneur doing the work you love. while you may not know what to do first what you do know for sure is you want this job to be your last employee job forever more. you are ready to put the necessary energy and strategy in place to leave your dead end job for good. you know it won't necessarily be easy which is exactly why you seek a coach to work with you through this transition. i get. during your three 45-minute sessions we'll assess where you are, get clarity on your vision and create your right now strategy to get on the path to fulfill your goal of pursuing your life as a full-time dedicated entrepreneur. connect you to your village of like-minded and like-valued people who believe what you believe about life as an entrepreneur . it's time to become who you say you are. book your clarity calls today.